If you weren’t expecting a new, water-cooled GS boxer from BMW, you haven’t been paying attention. 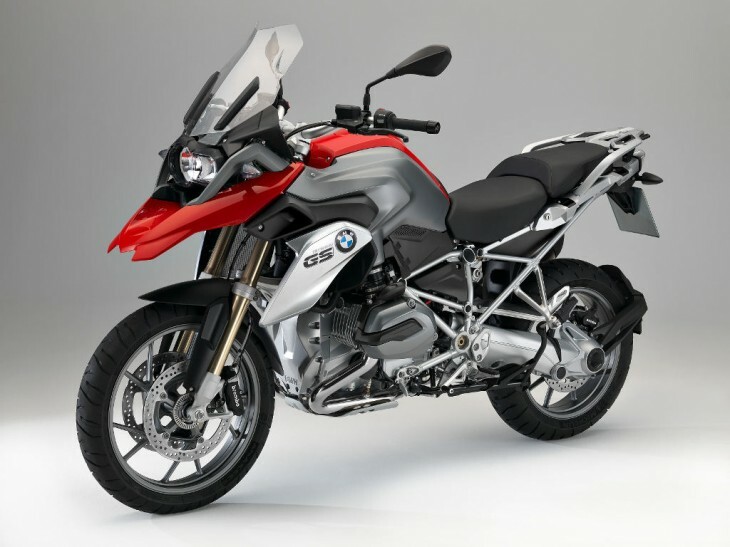 After all the spy photos and speculation, BMW finally unveiled the 2013 R 1200 GS today with the same displacement (1170 cc), water cooling and an additional 15 horsepower (now 125 bhp). A water-cooled engine typically weighs more than an air-cooled engine, and the big GS has gained roughly 20 pounds. All the latest electronic aides are available, including semi-active suspension, ABS, switchable riding modes and ride-by-wire throttle with cruise control. Take a look at the details below, and, for those of you who can’t get enough details, here is a link to a pdf with all of the media information: 2013 BMW R 1200 GS. The new GS features the next-generation BMW Boxer-twin engine, cutting-edge dynamic technology and improved all-round ability. BMW Motorrad’s highly-anticipated 2013 model R 1200 GS has made its international debut at the Intermot motorcycle show in Cologne, Germany. The world’s first – and most successful – adventure motorcycle has evolved once again, powered by the next-generation 125bhp BMW boxer-twin engine. The iconic R 1200 GS also features the very latest technology and innovations from BMW Motorrad, including semi-active enduro suspension, dynamic traction control and five intuitive riding modes. These allow the rider to choose the perfect bike set-up, altering engine mapping, suspension and traction control at the press of a button. 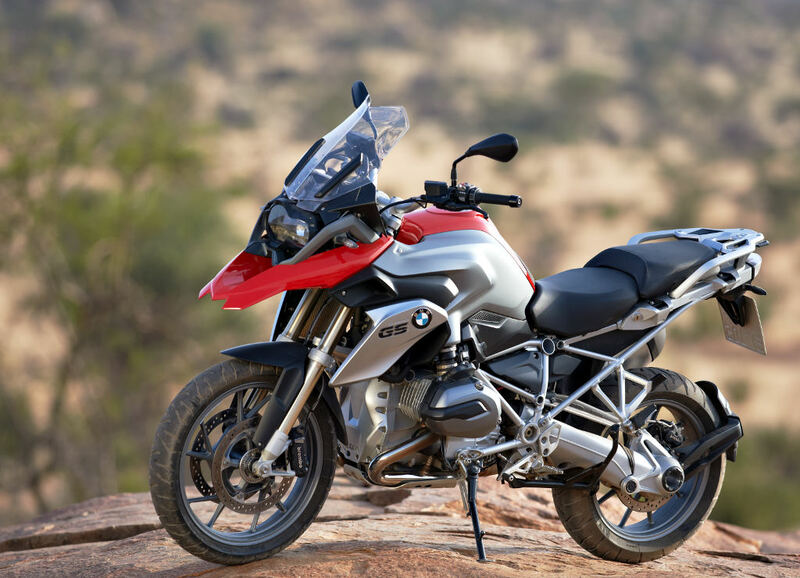 The new R 1200 GS is more powerful, offers improved fuel economy, has better all-round ability and is the most advanced GS ever, offering riders an adventure motorcycle which is a more dynamic and exciting road bike, a more comfortable tourer and a more effective off-road machine. 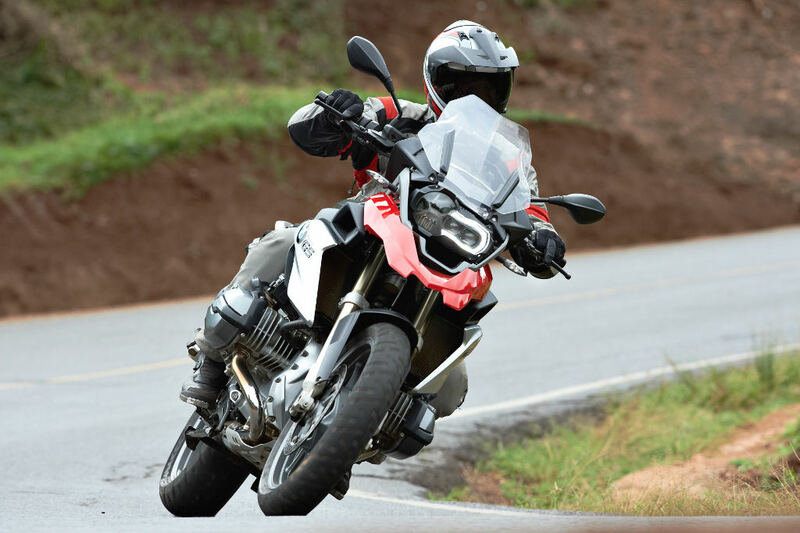 With over 170,000 models sold around the world (not including the Adventure variant), the R 1200 GS has become the ultimate benchmark to which all other adventure motorcycles are compared. The next chapter in the R 1200 GS legend has raised the bar for performance, innovation and comfort even higher, while staying true to the original GS spirit which been winning over riders since the very first R 80 G/S in 1980. The BMW R 1200 GS will also be available in a UK-exclusive high specification special-edition, the R 1200 GS TE ‘touring edition’, featuring a range of experience and comfort enhancing factory fit options and accessories as standard. Pricing TBC. A few positive commenst but mostly negative from people who porbably never even sat on a GS. I bought my first GS in March this year and love it. I do not do off-road, but I personally think GS is BMW’s best on-road bike, and with that I include the R1200RT, K1300GT and that 1600 (what the hell is that about? I think it is “whoopppeee look what we can do” – useless) car of theirs. What was wrong with the 1300? Whatch this bikle still outsell all other wannabe’s. meet the new boss… nearly same as the old boss. Motorhini has already made the bike you guys are talking about, but I can’t for the life of me figure out just how they made it so light. Lighter, yes, but so so light. But what you notice is that much powere with that little weight and the thing comes off the ground all the time. This subject of weight has been beat to death. The original idea of Adventure bike was a bike that could go a long ways where there isn’t much, where there were roads, just not great ones, and the whole idea is to do it with grace…anybody can slog through South America even with a Harley:) Too many folks on this topic are wanting an advanced dirt bike that is bone simple, can carry enough fuel, and a tent. You’ll have to build that yourselft except for a KLR. So lets make a deal no more carping on weight or where these things are really used in off pavement. Focus on what matters, low center of gravity and excellent balance with proper tires. With that in mind the Guzzi wins…hands down. Go ride one. If I’ll buy Guzzi it would be Centauro. ironically, the lightness of the original 1200GS was the one thing i DIDN’T quite like (liked everything else). something about the additional weight of the older 1150 makes for a noticeably better riding experience (on highway). maybe this one will have recaptured some of the older specs magic…? actually KLRs are way to heavy too. Honestly I do my adventure work on a KLX250s. It’s so new, they have not taken the scaffolding down yet. at Monza. AirMacchi – Harley-Davidsons had liquid-cooled cylinder heads and air-cooled cylinder blocks. no worries, it’s a flat twin. basically sorted in it’s previous DOHC guise and earlier iterations. it only needed enough cooling to meet ever tightening emmissions requirements. bravo BMW, brilliant redux of a classic. in your face triumph…!!! Strange liquid-cooled engine with that cooling ribs. But as you wish. BMW is manufacturing cars with two wheels. This is not what I have in mind as a biker! Road a current GS over about 100 miles of dirt last weekend with some buddies on similar bikes. Gosh, good thing that I didn’t know that this was not possible at the time. Really not trying to sound insulting to anyome here, but all the dirt bike wussies of the world need to just accept that there ARE people who can accomplish such “impossible” feats….and it is OK with us that there are those who only wish to ride cute little 230-pound trail bikes. Don’t confuse gravel roads with “dirt” Tom. Buy the Ducati Multistrada its ten times more beautiful, ten times lighter, and a hundred times more fun to Drive. The Duck is ugly. Only a bit lighter (Ten times lighter! What BS!!) and how the hell do you know if one is more fun to “drive” anyway? The BMW is not for sale here yet. How the hell do you “drive” a motorcycle? All I have ever done is ridden them. You go ahead and “Drive” your motorcycle, the rest of us will RIDE ours. If you “Drive” your motorcycle, you probably need ‘cruuze control’…? Let’s add a couple cylinders and call it an Adventure Wing! I would have been happy with a GS that was lower. So what does this pig weigh? Any guesses? Nice bike … and with cruise control. Huzzah! Some people will look for any excuse at all to start a political pi$$ing context. Jeesh. Take a break, willya? Come on Japan, it’s your turn to come up with a proper adventure bike. Can it really be that hard? I’ll give you some help with the correct formula. Take a Yamaha 660 Tenere and add one more cylinder, 80hp at the wheel should be plenty. Keep the weight at or below 400lbs wet. Keep the price at or below 10k. Need adjustable suspension and ABS which can be turned off. Easy to service and can cruise on the freeway at 75 comfortably. Need at least 9 inches of suspension travel but seat height should not be over 34 inches. A man landed on the moon in 1969, building an adventure bike shouldn’t be that hard. Currently have a BMW F800gs and seems to be the current best compromise but I think Japan could do a better job and at a more reasonable price. No way to tick all those boxes under $10k, especially the weight. It’s not a matter of “how hard” but more a matter of “how many”. Yea, I got a little carried away with my list, especially the 400lbs wet. My F800gs is 472lbs wet(including fuel). Seems like a 660cc twin with some lighter weight materials should be able to get close 400lbs wet. Of course the light weight materials would drive the cost up. It’s all about compromise. I think a KLR fits those requirements, except the 80hp at the wheel (and extra cylinder or ABS…). I guess if you can go 130mph on a dual purpose bike you’re The Man. I had a KLR and on the road they just don’t have enough juice to run comfortably at 75mph for extended periods of time. Who said anything about going 130mph? Wouldn’t that be a quite-underpowered 1320cc motorcycle….that many on this forum would make cheesy comments about? Or do you mean a 660cc twin cylinder engine? If so, THAT would be intersting. 660cc twin! That would be a nice compromise between weight and power. I don’t “get” the R1200GS anymore. It seems like it used to be a scrambler/Enduro/dual-sport, in the air-head days, or early oil-head days, but now has become a very tall road bike that can handle the wide-open, as long as the muck isn’t too soft that a heavy bike would get mired. It is pretty darn big to take down a narrow trail, or try to walk it through a trecherous pass. Good luck picking it up, or dragging it out of something sticky. An HP2 Motard/Enduro plus cases makes more sense. The F-series GS makes more sense by being lighter. GS seems like a big hulking image, and like the Multi-strada, is really an upright-seating road bike that looks a certain part, different than a touring bike’s image. However, imagine a half-faired new R1200S… all these features on a bike firmly planted in the venn diagram between sport and touring. Adjustable suspension and throttle rates between touring and harder sport riding, possibly with HP2S quick shifter for automated use. Oh, and I want it with Hossack/Duolever on a shorter-wheelbase, lighter weight boxer road bike than the K1300S, or K1600GT, now that K12R and R-sport (or new 1300) are no longer sold in the US. K1300S got a shorter control arm for new geometry… further fine tuning could get a proper double-wishbone suspension into the sweet spot. Imagine a successor to the R1100S, with all of the performance of the faster, lighter R1200S, nearly as much as the HP2 Sport, but as much real world versatility of the R1150RS, or the controversial-looking R1200ST, like a decent pillion seat, and modular luggage capability that can be removed to shed weight. Make it gorgeous as a half-faired bike… the new successor to the line that started with the R90S. I’m sure that we’ll see this engine where it really belongs: In the street-only BMWs, including the touring bikes. 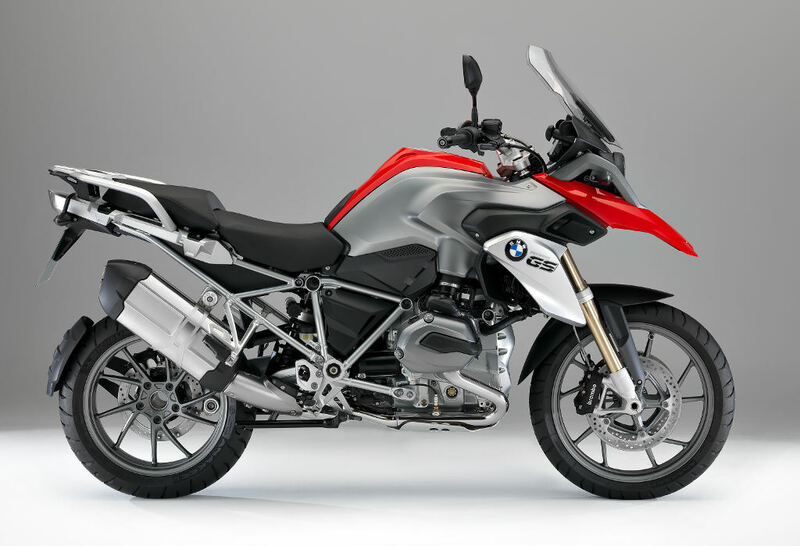 BMW is super-sizing the R1200GS right out of the adventure bike category and into something that’s laughable in that role, like a 200 pound female gymnast. There just is no need for 125hp in an off-road bike. And that power doesn’t just come at the expense of a heavier engine. It also results in weight gains all over the bike to cope with the increased engine weight and horsepower. BMW should create an 850cc, air-cooled boxer adventure bike and knock 100 pounds of weight off of it — show the world that they are still serious about the segment. since i don’t deliberately go off-road (but have on occassion FOUND myself off-road), i’ll allow it. 🙂 unless you’re a crackerjack, their ain’t a sportrider alive who can keep up with a GS with this many ponies and sorted suspension on a twisty road. swap those “bend happy” casts for spokes and i’m in…!!! You mean the 900 Husky? And yes, BMW is listening: they own Husky. I humbly request this motor in BMW’s Lo-Rider/Cafe Racer concept bikes at 2007 Intermott, IIRC. Now you’re talking irresistible, especially considering a super-naked package sans the adventure-bike’s rear sub-frame load capacity would be far lighter. I wouldn’t mind if the Lo Rider stuck to air-cooling for pure simplicity’s sake. The DOHC hex-head is still a quite good engine… especially if the air/oil cooled cylinders and heads will fit on this new block with the new transmission. 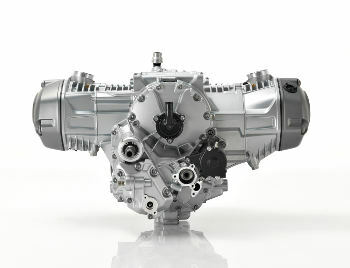 It would be a nice trick if this new short block and transmission were offered in both water-cooled, and air/oil cooled formats. R1200R, Lo-Rider, and some basic, light weight, less complex models can still use air-cooling… where the fully-loaded options, GS, RT, S or RS, can use water cooling for tighter tolerances and more performance. Not bad but looks a little like the early (2005) 1200gs with the silver side covers for the tank. I was expecting a bit more but cruise is nice, looks okay and some cool trick stuff. I hope 6 th is geared higher than my 08. Aprilia are you listening? Take that 550 twin, make it about 650 but lower some of the exotics to increase maintenance to normal intervals and don’t increase the weight more than 50 lbs in the process or loss more than 10bhp and we’ll have something interesting. A BMW waterhead boxer, the world has ceased to spin. What I can’t help but notice are those weird tire sizes, I’ve been riding big enduros for 20 years going back to a steamer Tige, and all dual sport tires for big bikes are 110/80/19 and 150/70/17 or 18. I wonder how many tires are going to be available in a 170/60 size? I’ve always thought it bizarre that those size tires are so expensive, and dealers have always blamed it on the BMW factor. Maybe a 150/70/17 will all of a sudden be cheaper or the same price as a 18″ equivalent. I suppose this was inevitable in that BMW wasn’t competing with the newer Ducati’s and Triumphs (the 1200) on a power basis, though more off road capable. Holy Schnozzola!!! BMW has out Ducati’d the Multistrada!!! UGLY is so IN!!!! If I were Sandra Bernhard’s talent rep I’d be passing her picture around!!! Sure am glad I got a 2011 Triple Black. 105 HP is plenty for me! Nice motorcycle! But I’ll wait for the R1200R. Gabel-nase? Means fork nose in German? I was wondering what that beak is for also. Seems like the fender over the wheel should do the job okay without the dirtbike pretend fender.